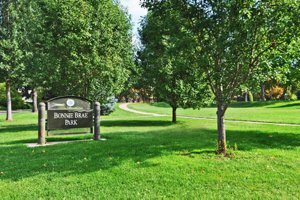 Bonnie Brae is a desirable community located in southeast metropolitan Denver. It was developed in the 1940’s and 50’s and has homes varying from the original unique homes to larger new construction homes. Bonnie Brae is in close proximity to parks, restaurants and shopping. Many wonderful neighborhood restaurants and businesses along University Boulevard have been run by the same family for two generations.